I am so excited and thrilled to feature a guest post by my friend Payman today. I met Payman last year around May or so through twitter. Payman is your go to guy for any cocktail that you might have any questions about. I love reading his weekly post where each Wednesday he introduces his readers to a new cocktail. I had the honor of meeting him and his lovely wife Vanessa last December while they were in town visiting his family. I thought it would be fun to ask him to come up with a cocktail and be a guest host on MPK. I hope you will enjoy this post as much as I did! I present to you, Persian Rose! Spring has finally arrived, which marks the beginning of a new year for the Persian Diaspora. However you don’t have to be Persian to appreciate the significance of Spring. For most cultures around the world—even the ones which observe the Gregorian calendar—Spring symbolizes hope, renewal, and perhaps casting off of the ills of the past. For obvious reasons, many also associate the color green with Spring. Incidentally, for many Persians green has taken on a deeper significance these days than it did in years past. It has come to represent the aspirations of Iranians seeking a democratic government, having become the color adopted by the renewed freedom movement in Iran. It is said that hope springs eternal, so it’s all the more appropriate that the color of Spring has also become the color of national hope. 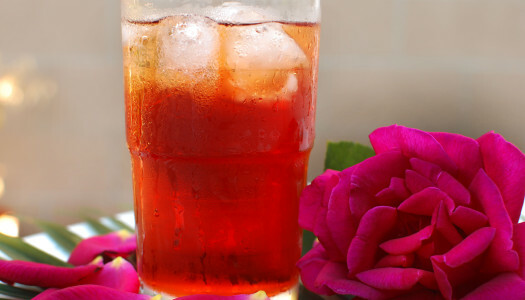 Since Sanam was kind enough to invite me to contribute to her blog, I decided to share a cocktail I recently created in celebration of the Persian New Year. The traditions of the Persian New Year, or Norooz as we Persians call it (which means “new day”) date back thousands of years to the time of the ancient prophet Zoroaster, whose philosophies were the basis of the Zoroastrian religion. Zoroastrianism, which predates the three Abrahamic religions (Judaism, Christianity, Islam; ironic how closely related those three religions are, right? ), was the primary religion of Persians until the brutal Arab conquest in the 7th century. 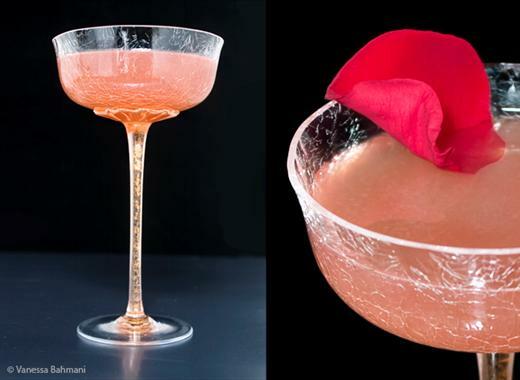 The cocktail I created highlights traditional Persian flavors and ingredients, and despite all my waxing on, is not green in color. Ultimately it was too difficult to make a green-hued drink without coming off as contrived. 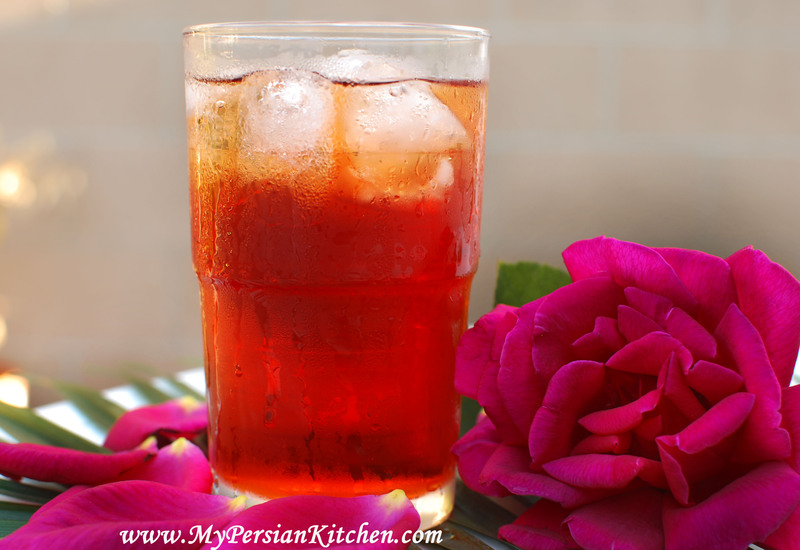 In the end I realized it was more important to represent culture and history through ingredients and flavors common to Persian cuisine, than to simply present a color, which could have easily been done with a few drops of artificial food coloring. However as we’ve learned from both Iran’s democracy movement and the environmental movement—two movements that have embraced the symbolism behind the color green—the color itself is meaningless if it’s devoid of a meaningful underlying philosophy. That’s what I focused in creating this cocktail.